The MyQuest Trigger Point Massage Foam Roller works great. It is a quality foam roller and is a good size for travel. 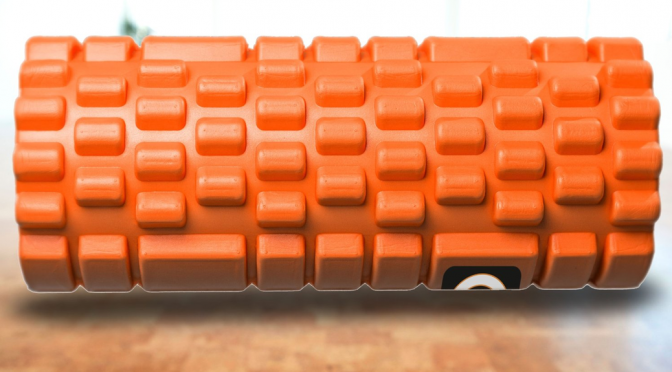 I suggest anyone looking for a foam roller to consider this roller. I have mostly a desk job sitting in front of a PC, and my lower back has been very painful for quite sometime. I have gone to a Chiropractor on a biweekly basis. I came across the MyQuest Trigger Point Massage Foam Roller while looking into the benefits of foam rolling. I use the roller before running to help get a better stretch or use it after running. The foam is a good size for travel (especially since it has a hollow core), but if the roller was slightly longer it would be more beneficial for daily use. However, the roller’s size does work. The textured part does a great job working the muscles and tissues. The roller looks great and feels like a quality product. This foam roller comes with an instructional eBook that has sample exercises. Since I had never foam rolled before, it was nice to have the included eBook. The eBook has 11 pages of content that is pretty helpful for a beginner. It is a PDF file that can easily be read on any PC or smart device (smartphone or tablet). One thing that drove me crazy was that “straight” was spelled “strait” several times. If you need more suggestions, you do a simple YouTube search for foam rolling techniques. I used the roller everyday for 3 weeks. It has helped with breaking up knotted up muscles. The pain in my lower back has noticeably decreased. Using the roller is a great supplement to going to the Chiropractor; I go to the Chiropractor every other week, but I can use the foam roller everyday to help along the way. The price for the roller is comparable to other similar rollers. Also, it is easy to use, it is a comfortable trigger point and deep tissue massager, and it is lightweight and portable. I would suggest anyone looking into a new foam roller (or buying their first one) to consider the MyQuest Trigger Point Massage Foam Roller. You can buy a foam roller here. If you have any questions, please leave them in comment section below; I will be glad to follow up on any comments that you leave.